The AGM of The Village Design Statement Association will be held on Monday 11th June. All are welcome to attend. A reminder that The Limes recently improved Website now allows you to register and renew your repeat prescriptions online. Repeat prescriptions are issued at your doctor's discretion and are normally for patients who are on long term medication. After registering You can login and order your repeat prescription directly through the site and and indicate if you would like to collect it from either the Limes or Theydon Bois Pharmacies. Your prescription or the medicines will then be ready for collection 2 working days later. You can Register on the Secure Login Page. Many villagers will know Margaret Prescott, who has recently left the village after 74 years. 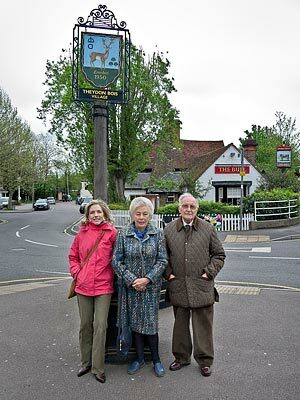 Margaret moved into Theydon Bois with her family from Walthamstow in the 1930s: they wanted to stay in that area but couldn't afford it so moved to Theydon instead ( how times have changed!). Margaret's family have been the only owners of their home in Woodland Way. She has a longstanding association with Norfolk, and has now moved to Burnham Market to be closer to family and friends. 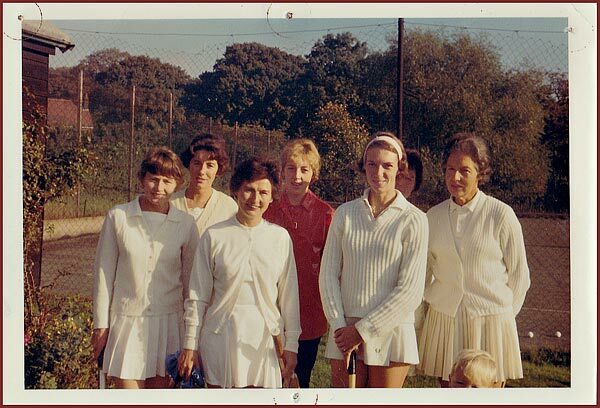 Margaret has been a Tennis Club member since she moved here, along with all her family, and the photograph was taken at a leaving drinks and presentation evening held for Margaret recently. She was presented with a painting of Theydon Bois, painted by local artist Barry Turner. Margaret Prescott wearing a red top in centre with club members at her presentation evening. 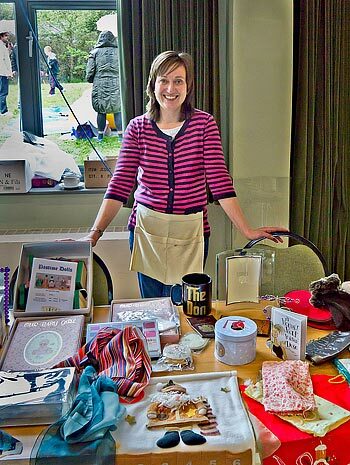 The May fayre at St. Mary's Church Hall on 5th May (see below) showed a profit of around £3,000. The weather had been a bit of a challenge for both organisers and the public who attended, but the event still proved a success. The Church would like to thank all who helped or contributed in anyway and the villagers who braved the rain to attend. Many Thanks. Well the summer seems to have finally arrived and the pleasant sunshine enhanced the pallet of colours visible at two village events on Saturday. 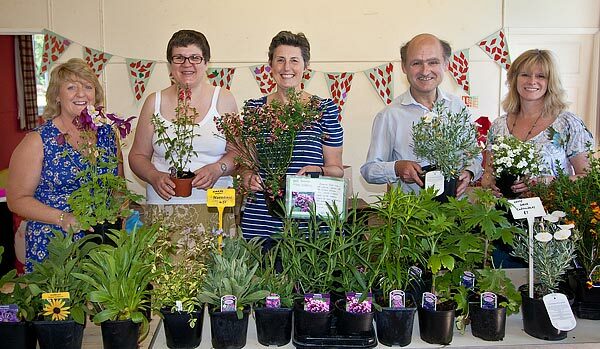 Village Gardeners encouraged at last by the improved weather and the opportunity for some outside planting busied themselves buying plants at the St. Mary's Church Plant sale in the Church Hall. 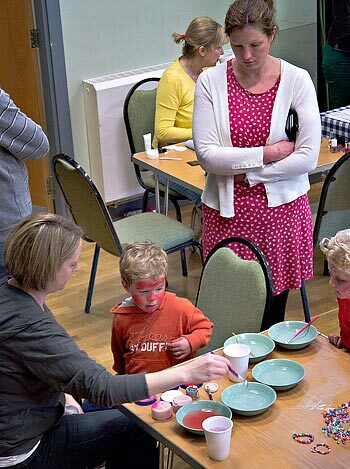 Here many colourful specimens were on show and that was just the villagers! Next door at the Village Hall 'still life' depictions of colourful flowers and plants also were to be found among the many fine paintings on display and again many villagers were hoping to acquire something for their walls that would uplift their spirits for those days when the sun fails to shine. 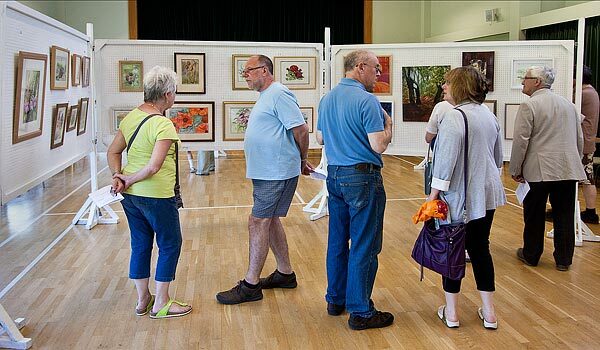 Paintings on show and for sale at the Theydon Bois Art Exhibition. 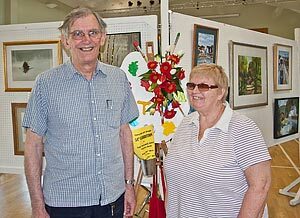 Above show organiser Derek Springham (left) and fellow artist at the show. You can download the above details as a pdf here. The Minister for Schools, Nick Gibb MP, has praised the “impressive” standard of education being achieved in the district’s schools which are now academies. Epping Forest MP Eleanor Laing and Buckhurst Hill and Loughton South county councillor Valerie Metcalfe, the deputy cabinet member for education, accompanied Mr Gibb when he visited Debden Park High School in Loughton, King Harold Business and Enterprise Academy in Waltham Abbey and Theydon Bois Primary School today (Thursday, May 17). The party toured each of the schools with Mr Gibb discussing a range of issues when he met the head teachers of seven of the district’s secondary schools during a question and answer session at Debden Park High School. Topics ranging from academy schools and Ofsted inspections to capital funding for school buildings and sixth form provision in the district were put to Mr Gibb by Debden Park High School head teacher Christian Kavanagh, Roding Valley High School head teacher Paul Banks, Chigwell School headmaster Michael Punt, King Harold Business and Enterprise Academy head teacher Denice Halpin, West Hatch High School head teacher Frances Howarth, Davenant Foundation School head teacher Chris Seward, and George Yerosimou, head teacher of St John’s School in Epping. Mr Gibb praised the work being done by academy schools Debden Park and King Harold and highlighted the determined efforts of the head teachers. He said: “One of the schools (King Harold) is changing from an under-performing school into a better performing school. It is interesting to see the head who is determined to raise standards. 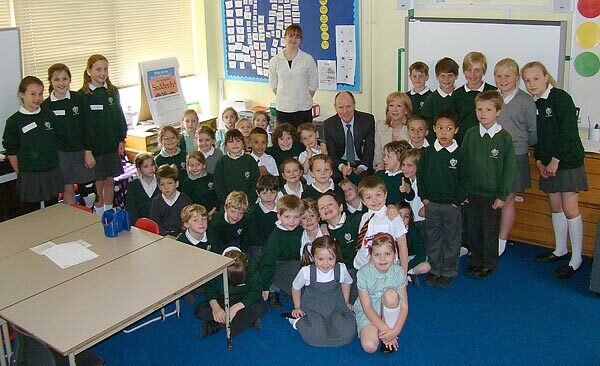 At Theydon Bois Primary School, after being introduced to the pupils and head teacher Elspeth Bonds, Mr Gibb enjoyed a school lunch of roast chicken and jam sponge and custard before being taken on a tour of the classrooms by a group of pupils. During his walkabout Mr Gibb posed maths questions to children in various classes, and was impressed by their answers. He said: “The children all know their tables and their reading is very advanced. I’ve also met some Year 6 children who are reading regularly every evening. “Their arithmetic and maths is at a very sophisticated level and even the very young children seem to be able to count and they know their basic number bonds to a level beyond what the national curriculum requires so it is all very impressive. 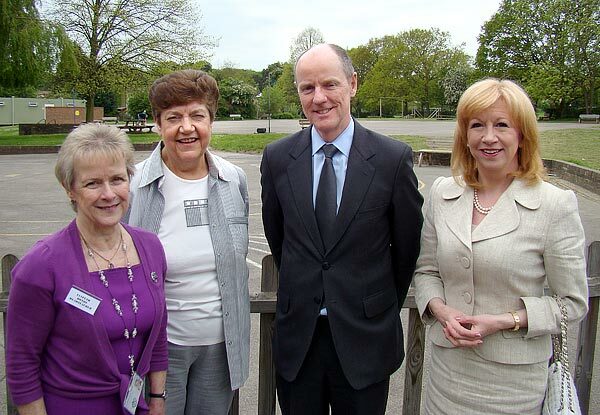 Mrs Laing said: “I was delighted to welcome the Minister for Schools, Nick Gibb, to Epping Forest. I particularly wanted him to see how well all our head teachers co-operate with each other and the excellent results they get for their pupils. “The Kemnal Academies Trust is doing a brilliant job and we can see the direct effect that the Trust is having both in Debden Park High School in Loughton and King Harold Academy in Waltham Abbey. “The Minister met several Year 11 students and I was very pleased at the enthusiasm, initiative and interest in their future careers that they displayed Both of these schools have made enormous progress in recent years and becoming an academy has been particularly important for King Harold. “It was also a great pleasure to visit Theydon Bois Primary School and quite an experience to share school lunch with the children. It is decades since I have enjoyed jam sponge and custard! “I think the Minister was impressed by the level that these primary school children have reached particularly in arithmetic which is so important. 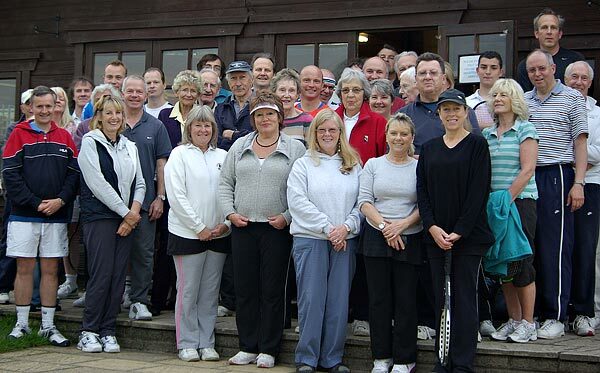 The Annual General Meeting of the Village Association took place on Wednesday, 9th May 2012. 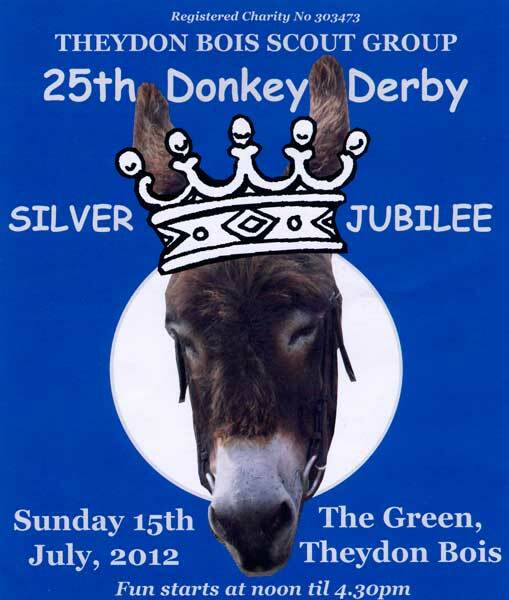 Representatives of 19 Societies affiliated to the Association were present as well as a number of Theydon Bois residents. He mentioned that the VA had supported the Parish Council with the purchase of the Youth and Community Centre, with the sum of £23,100 which had been given over three years. The Village Hall is now ten years old. The first of our three year cycle of maintenance and re-decoration has just been completed and this will be continued in the future. A Health & Safety feasibility study had had to be carried out during the year. All the requirements were either already in place or have now been carried out. 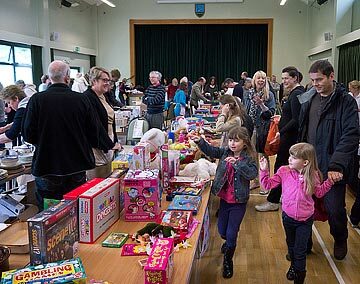 The Hall is very well used by our many village Societies as well as by outside groups such as the Toy and Train Collectors’ Fair. The Chairman praised the dedication of the hard working staff – the Hall Manager, Bookings Manager, Keyholder, two Day Cleaners and one night Cleaner. Hirers have expressed their appreciation of the condition of the Hall. 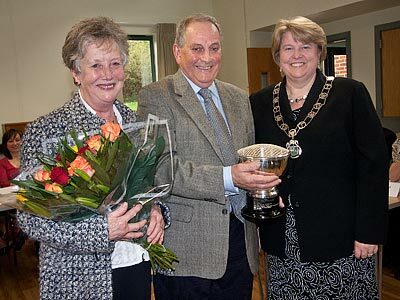 The Chairman also warmly thanked the Secretary, Carol James and the Treasurer, Allan Cox for all they have done. A request had been received from the organisers of the Queen’s Diamond Jubilee seeking a contribution from the Village Association towards the costs of the day. The Parish Council has agreed to fund the event up to £2,500 and it was agreed that the VA would contribute up to the same amount. 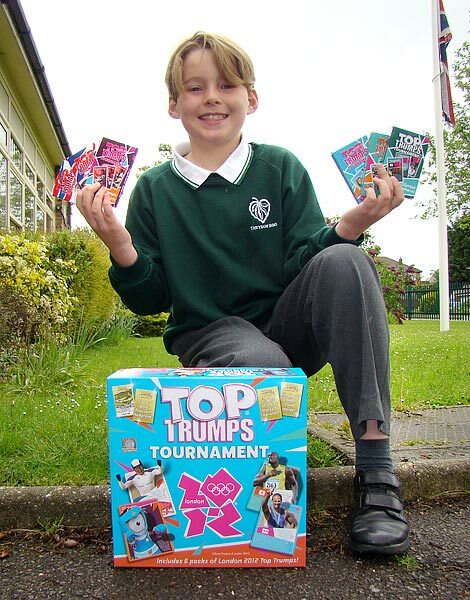 A pupil at Theydon Bois Primary School will be aiming to become Britain’s Top Trumps champion having seen off more than 100,000 other children to make the final. Austin Davies, ten, is one of 12 finalists preparing to battle it out in London in the final of the National Top Trumps Schools Tournament which this year is themed around the London 2012 edition of a new Top Trumps Tournament game. Austin goes into Saturday’s final having been placed second out of the initial field of entrants. Austin said: "I really didn't think that I would get this far but I'm really happy that I have reached the final." The winner will get a unique rowing experience with Olympic legend Sir Steve Redgrave - the official ambassador and ‘face’ of the 2012 Top Trumps Schools Tournament - on the River Thames. Sir Steve will also be at the final and will officially crown the winner. The winning youngster also receives a trophy. To reach the final Austin had to first trump classmates at his school to become the Top Trumps School Champion before competing in an intensive online competition. He had to battle against hundreds of other school champs across the UK before reaching the final. Top Trumps has been hailed as not only fun but highly educational too. The National Children’s Bureau carried out detailed research on the National Schools Top Trumps Tournament and concluded the game helps children improve both numeracy and literacy. Fiona added: “Its findings have resulted in heads and teachers seeing the advantage of bringing in Top Trumps as a teaching tool inside the classroom. The final will be played on a special commemorative bumper version of Top Trumps, which features London 2012 medal hopefuls. In the game are cards of scores of Olympians past and present and Olympic sports. These cards enable you to ‘trump’ your opponents across a range of Olympic themes from ‘British Legends’ to ‘Paralympic Heroes’. In the ‘Olympic Sports’ cards theme the ‘Cycling – BMX’ card enables players to trump any opponent in the ‘First Introduced’ category. Last nights Annual Meeting of our Parish Council was the first following the election on May 3rd. In Theydon the Parish Council election was uncontested, but two new councillors Chris McDonald and Rob Young replaced two who had stood down this time, Jenny Berry and Sue Sowerby. Sue Jones took the opportunity to introduce the new councillors to villagers attending the meeting. Out going Chairman, Sue Jones also thanked Jenny & Sue for all their efforts over the last four years and as her last act of office presented John Eaton with the award of 'Villager of the Year' (see below). 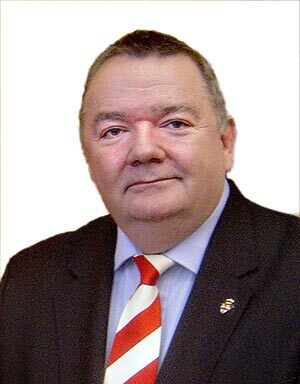 John Philip was elected as the new Chairman of the council and Peter Gooch as new Vice Chairman. 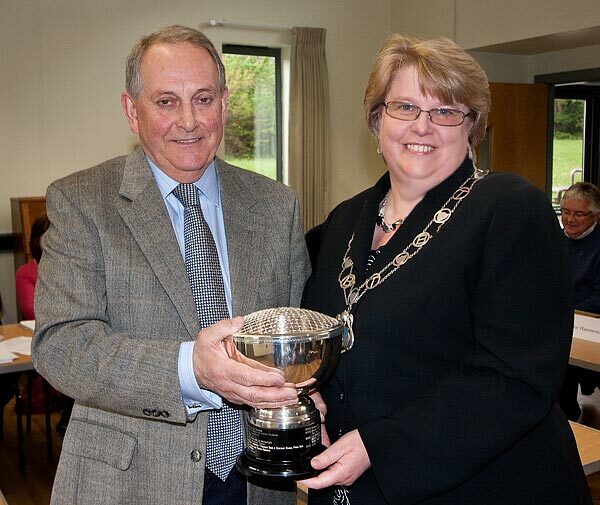 At last nights Annual Meeting of Theydon Bois Parish Council outgoing Chairman, Sue Jones made the presentation of the Rose Bowl to John Eaton for Villager of the Year. 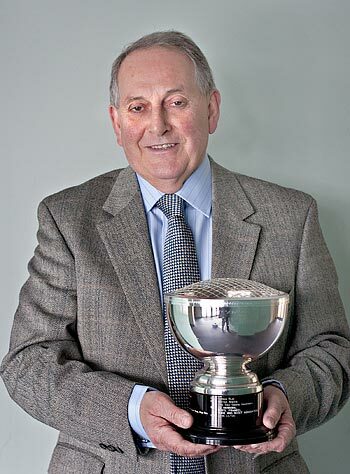 "My final job as outgoing Chairman is to present this year’s Villager of the Year Award. This is perhaps my most favourite job as Chairman of Council. It is an opportunity to recognise the voluntary work carried out by an individual for our Village. This year’s recipient has given his time completely selflessly to many different aspects of the Village. He turns up in many different guises and through the years he has had many different titles including Chairman of this Council. He has served the children of the Parish in his role as School Governor and I know Mrs Bonds, the Head Teacher has been very grateful for the support he has given on the Governing Body over the years he has a very hands on approach which led him to acting as chauffeur for the School’s royal wedding. He showed his determination by ensuring that an old traditional village event – the annual Pancake Race was reinstated last year much to the enjoyment of the children. His dedication to the village has been continuous, despite standing down as a member of this Council he has still continued to organise the monthly litter picks and chairing the Tree Strategy Committee, a role he has only in the past few weeks relinquished after many years service. 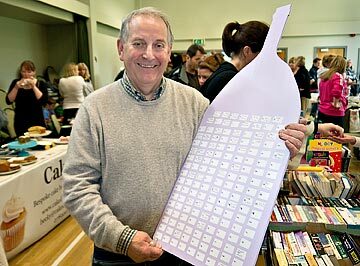 He must be applauded for his tireless work on the Village Design Statement. I suspect none of us had any idea of the amount of work this would take when he gallantly agreed to Chair the group of volunteers who set about the mammoth task of writing the VDS. The result is a highly professional publication which has come about after hours of meetings and discussions, all of which our Villager of the Year has been directly involved in. Our winner is involved in many aspects of St Mary’s church and will often be seen on a Thursday joining in the working party that keeps the churchyard looking neat and tidy. Furthermore, he is already very involved in the planning of the Jubilee celebrations to be held in the village next month. Everyone who has worked with our Villager of the Year, has always recognised not only his dedication and tireless energy but his true gentlemanly approach to everything he tackles. It gives me the greatest of pleasure to present the Theydon Bois Parish Council’s Villager of the Year Award for 2012 to John Eaton. It is said that behind every great man there is an even greater woman, and I know that the Villager of the Year is no exception so I hope Ruth will accept these flowers in recognition of all the support and understanding she has offered and indeed all the times when her heart has sank when John has announced yet another project that he has just got involved in!" 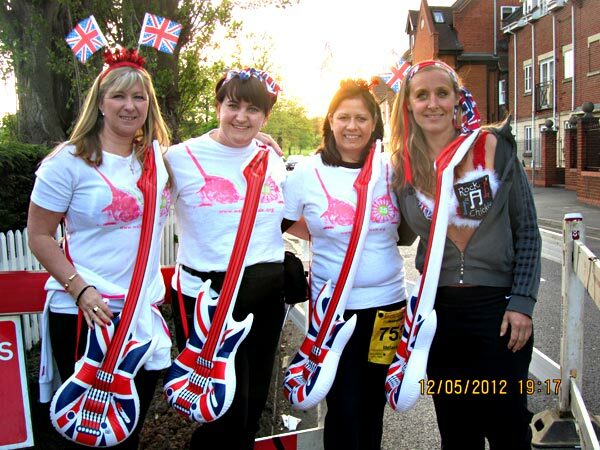 On 12th May 2012 we (Melanie Merrett, Brigette Bradford, Karen Collins, Alex Phillips and Fiona Bradley) completed the Marathon “Moonwalk”. 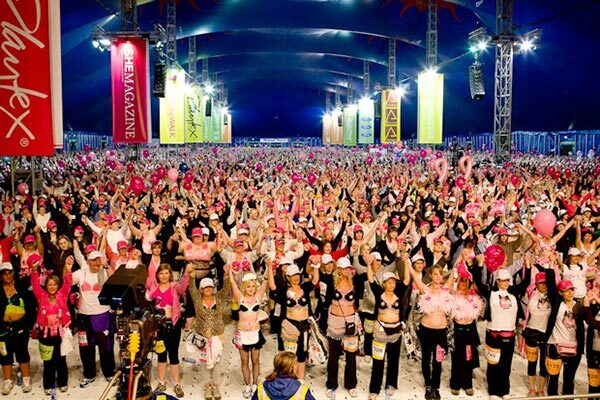 The Moonwalk is a night time power walk undertaken by 15,000 women (and some brave men) in decorated bras. The charity “Walk the Walk” raises money for vital breast cancer causes. Last year Walk the Walk raised over £8.5 million and hopes to beat this target in 2012. We left Theydon at 7pm and joined the other 15,000 walkers at the Moonwalk tent in Hyde Park. Alongside celebrities such as Jennifer Saunders and Frances Barber we listened to bands and watched the dancers. Just before we were due to start and after the VT address by supporter Prince Charles we joined hands and held a poignant 1 minute silence - an opportunity for prayer and reflection for loved ones who have suffered from the devastating effects of cancer. Thoughts were with people who had won and lost battles and for the people left behind. At 11pm we started our 26 mile walk leaving Hyde Park and on to Pall Mall, Westminster, Victoria Embankment and London Bridge. Once across the bridge and on the Southbank, the half marathon walkers left to go back to Hyde Park but we carried on along Albert Embankment, over Vauxhall Bridge and on to Chelsea, Fulham and Knightsbridge, eventually heading back to the park to cross the finish line at 6.50am. The atmosphere was electric with many people supporting us along the way. Even though tiredness, aches and pains kicked in for all of us at different times we kept each other going, and encouraged others along the way. One of the most exciting moments was at approx 20 miles as we walked alongside the Thames watching the sun rise with a back drop of Big Ben and the Palace of Westminster. We are very proud to have raised over £3,000 for the many cancer related projects Walk the Walk supports and would like to sincerely thank everyone who sponsored us and supported us in so many ways. We really appreciate you. 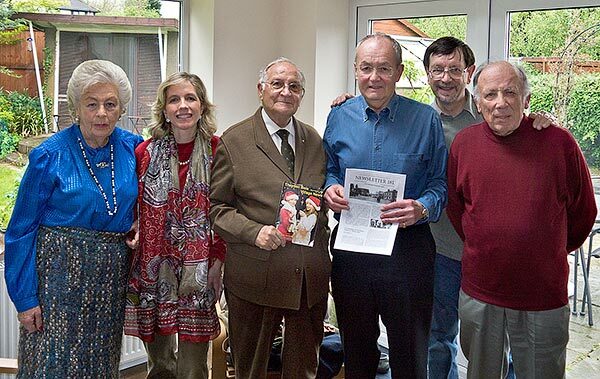 As this year is the 75 anniversary of the SS Habana first arriving in Southampton with the children, before they were then dispersed and found accommodation in various towns and villages around the country, the Basque Children Association arranged a reunion at Southampton University and Vicente, now still a sprightly and alert 88 year old, together with his wife Consuelo (75) and daughter Covadonga decided to attend, but in particular they wanted to visit Theydon Bois to see what Vicente could recall about our Village when he was last here in 1937 aged 13. He was not disappointed and you can read the full story of his visit in the forthcoming June Issue of Village News. 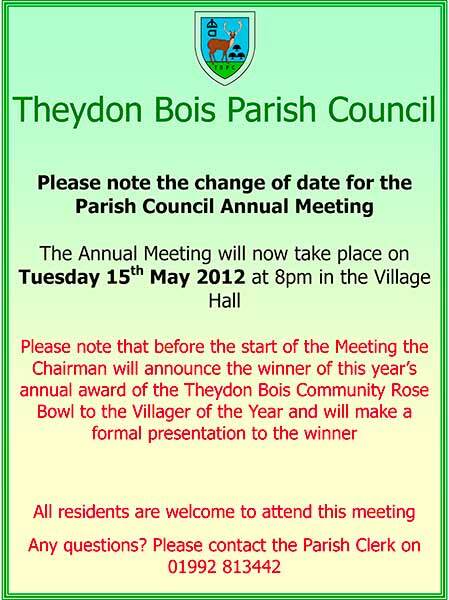 Unfortunately due to conflicting bookings at the Village Hall the date of the Parish Council Annual Meeting has had to be brought forward from Thursday 17th May to the new date of Tuesday 15th May. In an election year it is a requirement that an Annual Meeting is held within 14 days of the election. 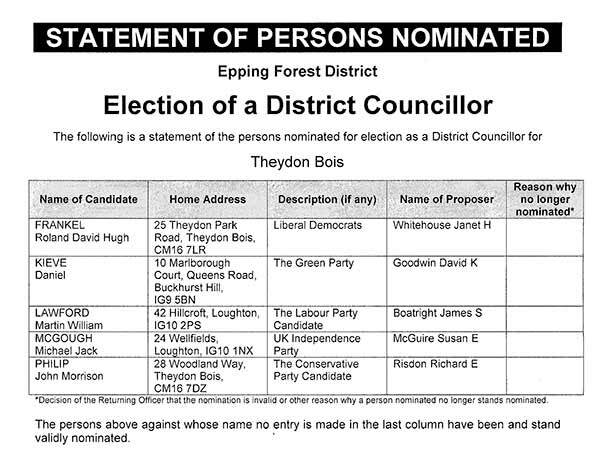 Two new councillors were elected in the uncontested election for Theydon Bois Parish Council on 3rd May, previous Parish Councillors Jenny Berry and Sue Sowerby having stood down. 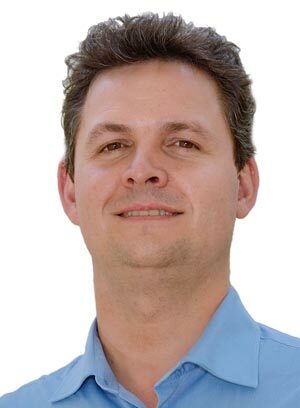 Chris McDonald: Chris is very much a local boy – educated at Chigwell School, he has lived in the village for over 20 years. He was vice chairman of the ‘Playground at Theydon’ project, has served as both Chairman of Governors at the Local Primary School and as a Parent Governor at Davenant. He spent a number of years on the PCC. As his three sons passed through both cubs and scouts he was a regular ‘dad helper’ for our local scouting movement for about 15 years. He is soon to retire from the Metropolitan Police where his long and varied career has involved such responsibilities as, looking after UK interests in New York after 9/11, and being Chairman of the Police Superintendents’ Association in London and the City. As a Detective Chief Superintendent he was recently seconded to the Home office for a year to be a Government advisor on violent crime. His final role before retirement has involved a review into aspects of the disturbances last year. He is married to Gill and looks forward to representing the views of villagers, as one of the newest members to the Parish Council. Rob Young: Rob was born in Walthamstow and moved to Theydon from Loughton some 10years ago. He has his own retail shop in Epping High Street . 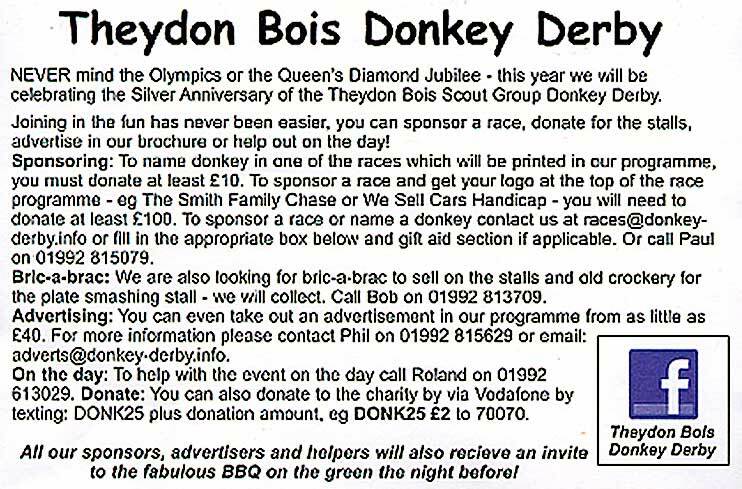 He has 2 children, a boy and a girl who attend Theydon Primary School where Rob has been a school community governor for 5 years and as a result knows the people and area very well. He has just reached the youthful age of 40 years and is looking forward to playing with the new family IPAD (when his wife will allow him a go!). He is keen on motor sports in general, especially Formula 1. He is very much looking forward to serving the community in Theydon as a Parish Councillor. 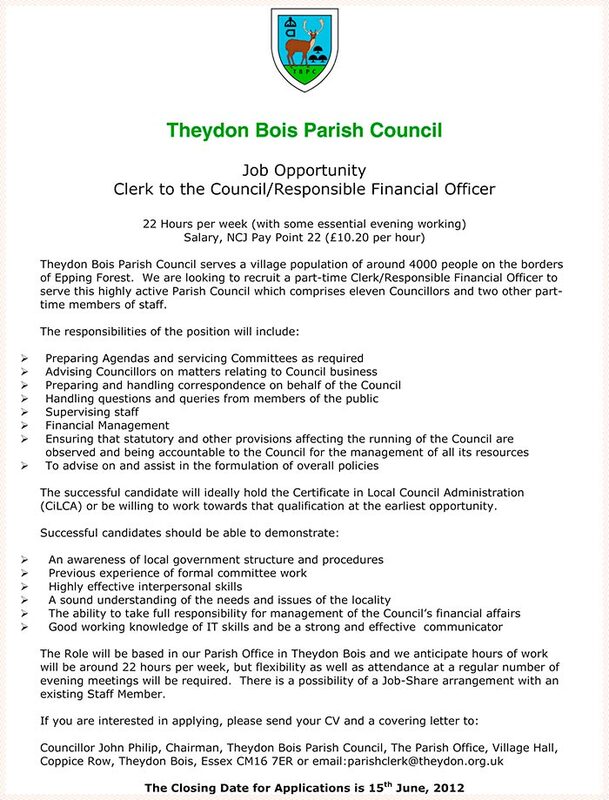 Contact details for all of the Theydon Bois Parish Councillors are on the Parish Councillors page. Wednesday, May 16. There will be a chance to meet the hospice’s care team and find out the latest on the services provided. Hospice volunteers, supporters and representatives from local agencies will be among those present. There will also be an opportunity for visitors to go on a tour of the hospice. Anyone planning to attend should contact Giles Wright on 01279 773752.
costs from the NHS. The rest it has to raise. The wet weather didn't dampen the sprits of villagers determined to have a great day out supporting St. Mary's May Fayre earlier today. Because rain was expected (and duly arrived) the Fayre was moved at the last minute from the usual Church Hall with it's outside space for stalls to the Village Hall where most of the stalls could be accommodated inside in the dry. 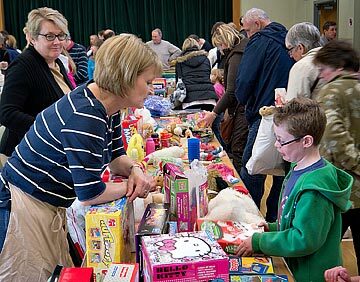 Attendance still seemed high with the many stalls doing good business raising funds for the church. 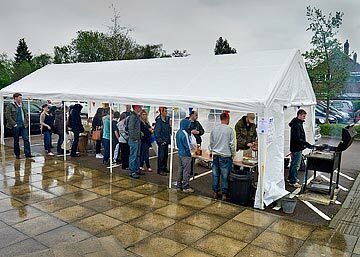 Even the barbecue under an awning outside in the rain had queues of hungry fayre goers! Full District Council Election Results can be found on the EFDC Website. 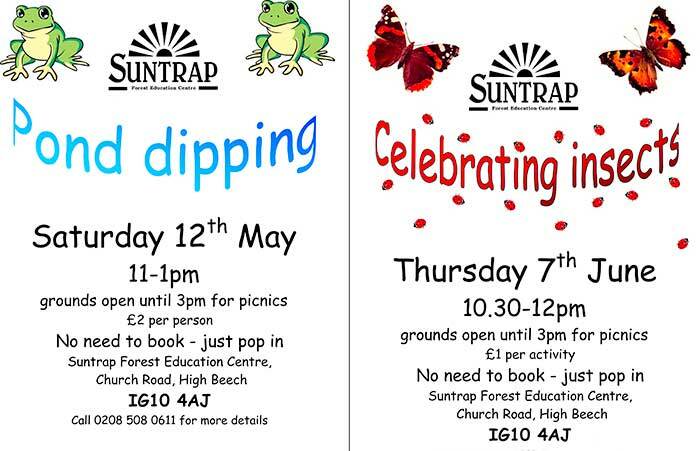 Pond dipping and celebrating insects family activities taking place at Suntrap in the next few weeks. There is no need to book for either session and there will be parking available at Suntrap. Families are welcome to bring a picnic with them to enjoy after the activities as the Suntrap grounds (with access to a toilet) will be open until 3pm. We look forward to seeing lots of families helping their children to explore the natural world. 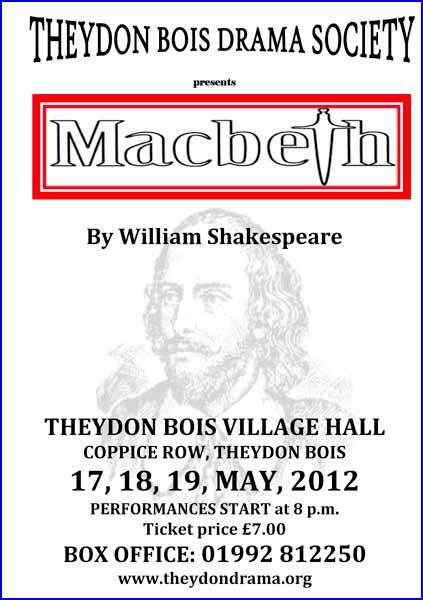 17-19 May, 2012 will see Theydon Bois Drama Society produce its first ever Shakespearean tragedy. The highly untrustworthy – not to say murderous – Lord and Lady Macbeth will be in town for a very scary night at the Village Hall. This will be a highly traditional, fast moving production so come and join us, whether you have been a Shakespeare fan for years, or whether this is the first time you’ve ever tried it. Tickets for each performance are £7.00 Please telephone 01992 812250 to book and ensure tickets are available for the night you want. We've been training for months we’ve completed our 20 mile training walk, we've bought our bras & we are now ready for the Moonwalk Challenge on 12th May. For those that haven't heard of the MoonWalk, it’s a 26 mile walk through Central London at night. The 2012 MoonWalk London will see thousands of bra-clad power walkers striding out from Hyde Park in support of the charity organisation Walk the Walk – a charity that over the last 15 years has raised millions of pounds, helped countless breast cancer sufferers and provided much needed funds for research. Thank you for uniting against breast cancer. Sue's Report for the year 2011 - 2012 is now available here. The traditional May Fair at St Clare Hospice will be raising much-needed funds for the charity. 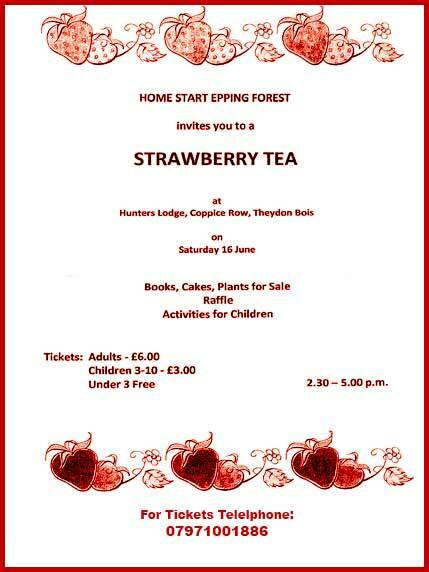 The event – at the hospice in Hastingwood Road, Hastingwood, on Saturday, May 19 – is again being organised by Pat Prior whose late husband was cared for at the hospice. Pat, who makes cakes and preserves for the fair and also sells jam throughout the year to raise money for St Clare, said: “I’ve always been involved in charity work and so decided to help a local cause. 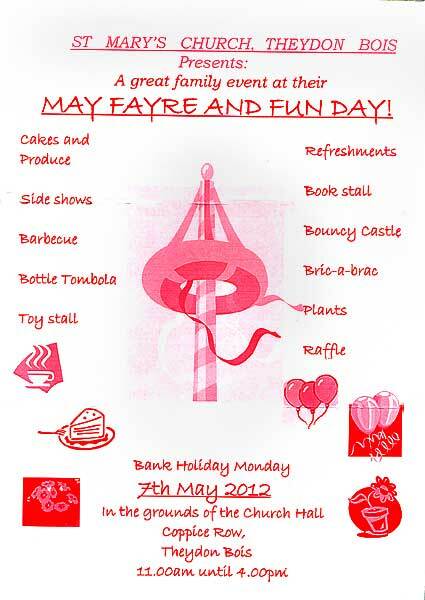 The May Fair runs from 11am until 4pm. There will be a circus workshop, reflexology, tombolas and raffle and stalls selling cakes and preserves, linens, soft toys and much more. 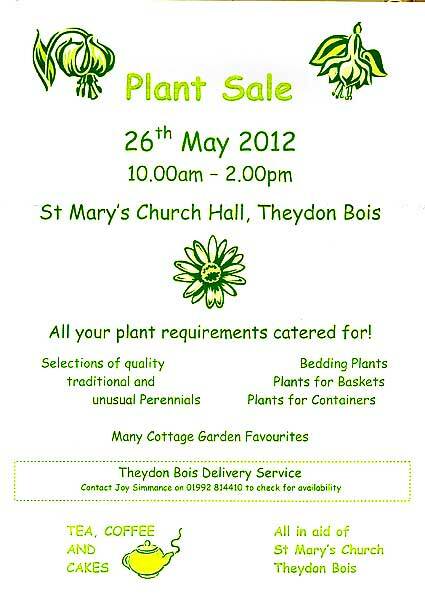 There will also be a children’s stall and a stall selling knitwear. Admission is £1 for adults (50p for children). Have you booked your summer holiday yet? Looking to escape England and the Olympics for a couple of weeks in August? How about two weeks free accommodation in Hong Kong? Former Theydon resident and Village Hall Bookings Manager, Steve Middleton, wife Alison and six year old son, Alex moved to Hong Kong in January 2011. They're planning on returning to the UK around 1 August for a two week holiday and would love to stay in the village, near Alison's family and friends. They're proposing to house swap their 2 bedroom apartment on Hong Kong Island for a house in the village for the two weeks. They live on a large expat complex with use of the outdoor swimming pool, gym, jacuzzi, bowling alley. The apartment is close to the Hong Kong underground system, the MTR in Sai Wan Ho, 5 or 6 stops from the city centre. If you are interested please email Theydon Newsdesk clearly marking the Subject Line "Hong Kong House Swap" and we will put you in touch with Steve. Ed. 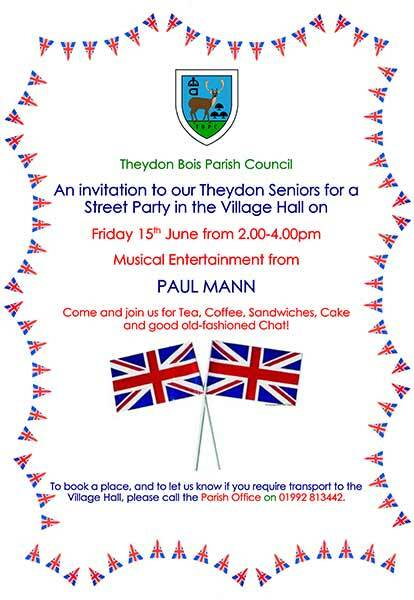 Note: Theydon Newsdesk is only acting to put the parties in contact. It is up to both parties to ensure any arrangements made are satisfactory.